We haven’t turned the heat on yet mainly because I have good intentions of vacuuming out the base board heaters. You never know what you might find inside the heaters with 2 little people and before we set the house on fire it’s advisable to give all of the heaters a look through. 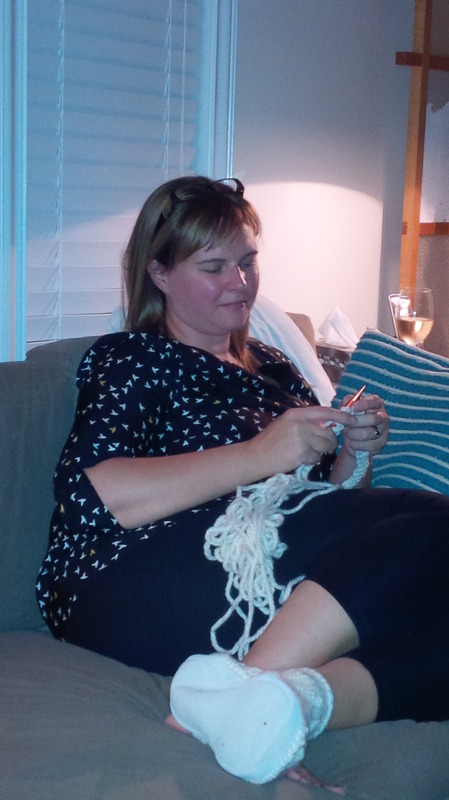 But instead of doing the easy task of cleaning out the heaters it made more sense to me to knit myself slippers. Yes I know that’s not very logical, but it’s way more fun. 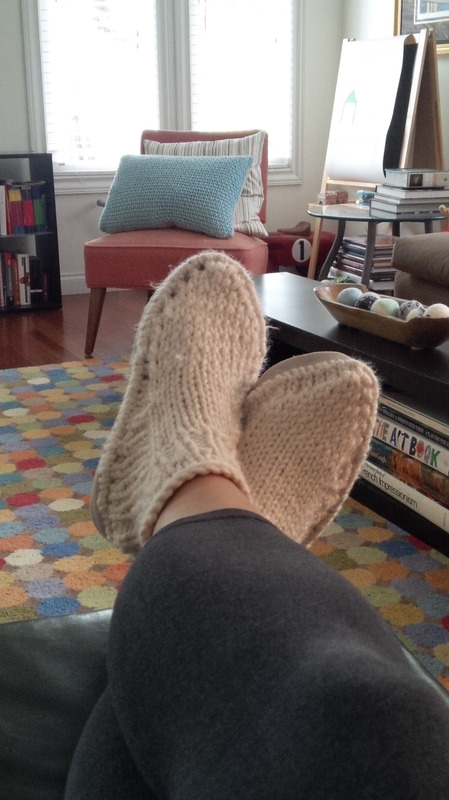 Here I am knitting them yesterday, and lounging in them today. They do resemble big foot paws but they are warm and comfortable. I couldn’t find a pattern that worked with the yarn I wanted or the suede fleece lined soles so I made one up. All that means is that one slipper is symmetrical and the other is a bit of an experiment. I am giving myself A for effort, sometimes things don’t turn out exactly as you might want them to but I am going to wear them anyway because baby it’s cold inside.